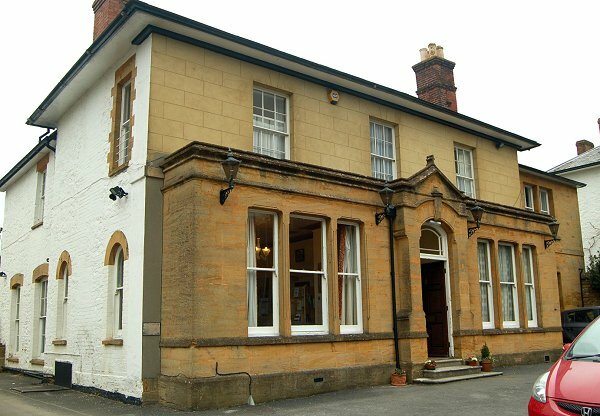 Formerly No 56 Hendford, it was built around 1830 and is shown on Watt's map of 1831 as well as Bidder's map of 1843 and both maps show the side extension to be contemporary. This is the former Hendford Vicarage and is brick-built with the front elevation at first floor level rendered and scored to give the appearance of ashlar. The ground floor has a full-width Victorian extension, typically over-elaborate and somewhat spoiling the plain simplicity of the original elevation which would have, when built, closely matched its neighbours. In 1851 it was the residence of Rev John Williams and his wife Ann, together with two servants. In 1871 two middle-aged ladies were in residence 'in charge of house'. In 1881 the new Curate of Hendford, Henry Toft from Derbyshire was in residence with his wife Harriett and young niece Edith. By 1891 Abel Williams was in residence with his wife Frances, five children aged between 23 and 7, a cook and a housemaid. Abel listed his occupation as 'Clerk in Holy Orders (Vicar of Hendford)'. In 1901 the vicarage was vacant. Villa, of c1840. Rendering, stone colour (? over brick - see sides): Welsh slate hipped roof with wide eaves overhang. 2-storey facade of 3-bays with 12 near-squared pane windows at first floor level. Incised pilaster panels to ends. Later C19 ground floor single storey extension along full length of facade in ashlar Ham stone with flat roof behind parapet. This has a 6-panel door (up 2 steps) set centrally in a projecting gabled feature with segmental arch with ornamental keystone and chamfered reveals; shaped fanlight with margins: on either side triple sash windows without glazing bars, the centre lights slightly wider. Heavy moulded coping (with finial to gable crown) over light string course. 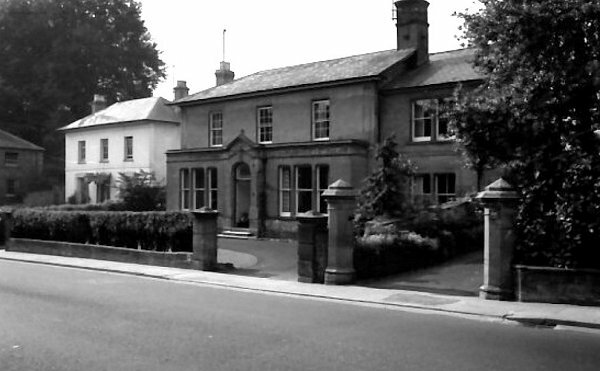 Hendford Vicarage photographed in the 1960s. The former Hendford Vicarage with its Victorian extension running the full width of the ground floor elevation and, to my mind, somewhat spoiling the original lines of the building. Photographed in 2013.